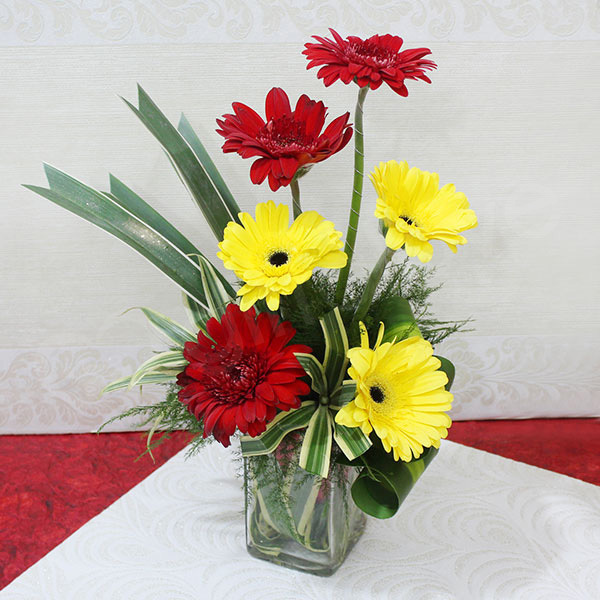 Leaves and fillers in arrangement are seasonal in nature. Therefore, their availability may vary. The packing materials and glass vase can be used again. 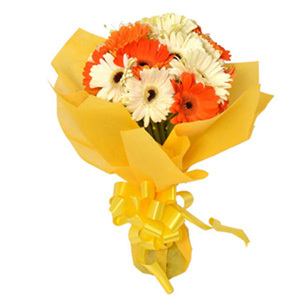 Gerberas are the fifth most popular flowers in the world following Roses, Tulips, Carnations, etc. 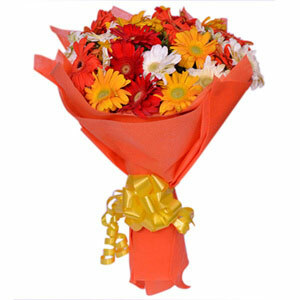 These can stay for a long period of time in glass vase. An elegant bouquet. Good Job!